This job board is available to local and regional pharmacy employers to post their available pharmacist positions. This job board is intended as a resource for our WSU pharmacy alumni and community. Pharmacies who want positions posted on this site should contact us directly. Positions will not be posted for recruitment firms serving as agents for pharmacy employers. We reserve the right to review and screen all requests. Positions will be posted for 60 days. Type: Full time, Permanent, Monday – Friday, 8-6 p.m.; with rotation of one Saturday in every five weeks, 8:30-5pm. Schedule may vary as needed. Responsible for the quality pharmacy services, collaborating with primary care providers and staff to improve the health of UCNW patients. Assures compliance with all regulations of the Washington State Board of Pharmacy, and works to achieve the goals, objectives and budget established by UCNW’s Board of Directors and Senior Leadership Team. Dispensing medications, assisting UCNW personnel and patients with drug information and identification, developing and sustaining productive patient relationships, evaluating and resolving potential drug therapy problems identified through any and all available sources, patient counseling, prescription verification, adherence to state and federal pharmacy laws, precepting students and interns, supervision of pharmacy technicians while on-duty, and participation in projects as assigned. UCNW manages patient care using a team-based approach in our interactions with patients and working to achieve stated objectives and outcomes. Our current team consists of four Pharmacists, one Pharmacy Manager, five Pharmacy Technicians (we will be adding an additional Pharmacy Technician), two Pharmacy Assistants, and one Pharmacy Compliance position. Washington State Pharmacist License; and current BLS. 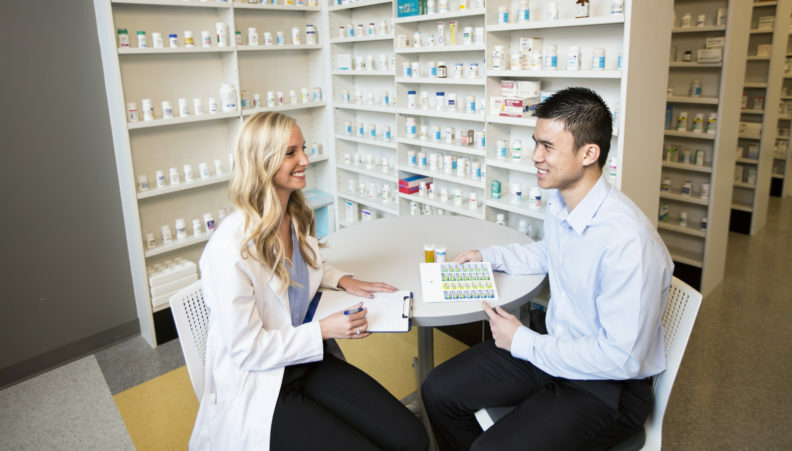 Clinical pharmacy experience, preferably some retail experience. Knowledge of Board of Pharmacy regulations. Knowledge of 340b program. Clinically competent. Proficiency in computers, including ability to learn Electronic Medical Records and pharmacy system, also use phones, fax machines, printers, scanner, & copiers. Ability to carry out supervisory responsibilities in accordance with the organization’s policies and applicable laws. Ability to supervise all pharmacy personnel and provide leadership to the health care team. Knowledge and experience of ordering, inventory and cost management activities. Experience in personnel management and/or ability and interest to learn. Ability to keep customer service and the mission of the organization in mind when interacting with clients, co-workers, and others, promoting a positive image for UCNW and fostering an ethical work environment. Ability to effectively communicate, verbally & in writing, with all levels of staff and patients. Ability to maintain strict confidentiality with medical information and conform to HIPAA regulations. Ability to work both independently and as a team in a fast-paced, medical office environment with frequent interruptions, occasional public contact, and occasional crisis situations. A positive work environment working with a team of professionals. Contact or send resume to: Apply at www.unitycarenw.org or contact: Karla Lacktorin, recruiter at karla.lacktorin@ucnw.org for additional information. To post a job, fill out and submit our posting form.